Dogs will seriously squawk once they get a hold of Old Crow, an eco-friendly stuffed dog toy. 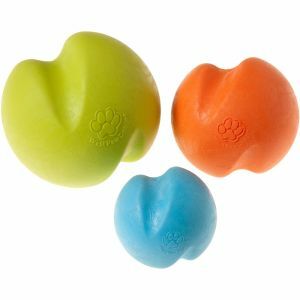 Made with a long-lasting squeaker and designed for endless entertainment, this American-made stuffed dog toy is all treat. Don't let the soft, furry fabric fool you - this is one strong fabric dog toy. Hand sewn in the USA. NEW! Stuffed dog toy for Halloween! Available for a limited time. Measures 10”. Hand sewn in the USA.